WHEN: Saturdays beginning at 10 AM, ending at 2 PM. Guides generally leave promptly at 2 PM, so come a bit earlier if you think you’ll have questions. WHERE: You’ll dependably find our guides in the area in front of the furnace. Depending on the day, you may also find a guide in the office building, but try the furnace area first. 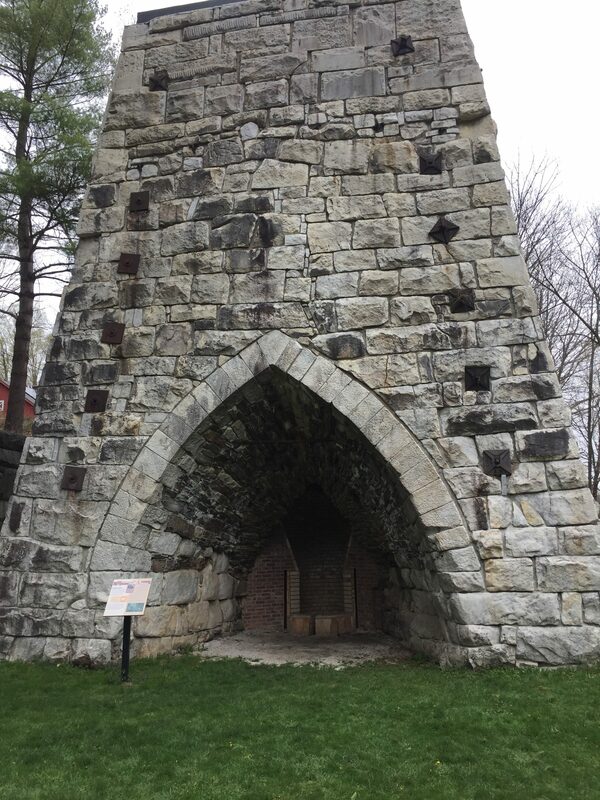 WHO: Our guides are members of the board of directors of the Friends of Beckley Furnace, the not for profit organization that researches, restores, and interprets Beckley Furnace. All are knowledgeable; some are regionally and even nationally recognized as experts in the field. WHAT: Basically, we’re here to help. Some people like to conduct self-guided tours, using the signage we’ve prepared. Others like to be shown around by a guide. Still others like to look around and then engage one or more of the guides in discussion of particular aspects of the furnace or the historic iron industry of the Upper Housatonic Valley. It’s your choice! HOW MUCH does this cost? NOTHING. It’s free! No admission charge, no charge for the guide. So, we hope you’ll come see us one Saturday this summer. You can find a map and driving directions HERE. Usually you’ll find the guides somewhere in this area.